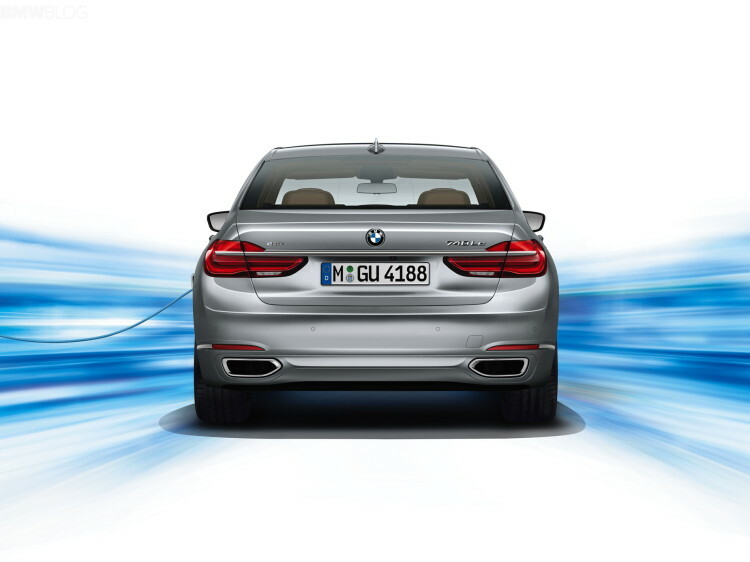 BMW is easily becoming one of the automotive industry leaders in hybrid technology. The i division is taking the industry by storm, introducing not only the best urban electric vehicle, the i3, but a plug-in hybrid supercar similar to the million dollar Porsche 918, the i8. But it isn’t just the i Division that’s giving BMW such credibility in the world of green vehicles. The techniques and technologies learned from the i division are being trickled down into other BMW vehicles. The X5 xDrive40e was the first plug-in hybrid announced with techniques learned from BMW’s i division. From there, the 330e plug-in hybrid was announced and now, along with the rest of the G12 7 Series lineup, the 740e xDrive has been announced. 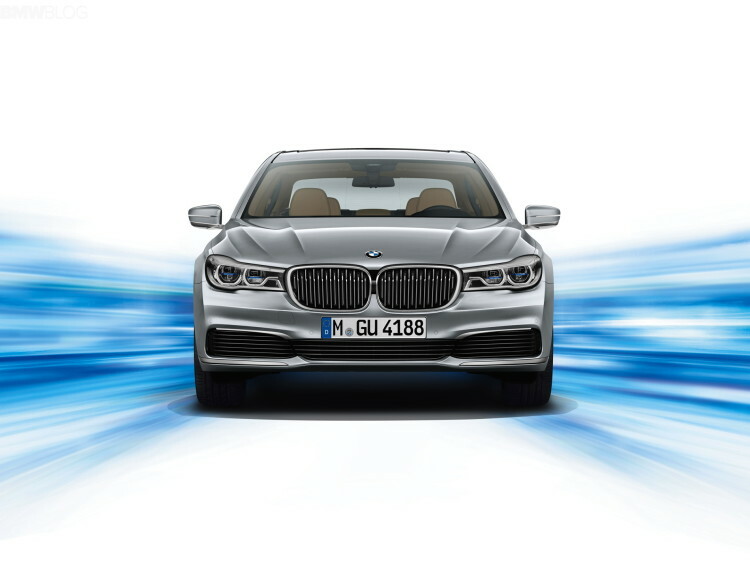 Set to compete with the Mercedes-Benz S550 Plug-In Hybrid, the 740e xDrive will use advanced technologies learned from BMW’s newfound experience. To start, along with the rest of the new 7 Series lineup, the construction will have extensive uses of CFRP (Carbon Fiber Reinforced Plastic), as well as other high-end materials such as aluminum and magnesium. What BMW calls Carbon Core Passenger Cell technology is a passenger cell that utilizes CFRP along with aluminum and high-tensile steels in the main passenger cell as well as B Pillars and roof. There will also be aluminum doors and trunk lid as well as lightweight bonding and sound deadening. All of this weight savings leads to a 190 lb weight loss over previous models. But it isn’t just weight savings where BMW learned from its i Division. The 740e xDrive will employ similar techniques found in the i8 and its integration of gas engine, Steptronic transmission and electric drive unit. The 740e xDrive will use a similar setup to the X5 xDrive40e, a 2.0 liter TwinPower turbocharged four-cylinder engine paired to an electric motor and eight-speed Steptronic transmission which will send power through all of the wheels via BMW’s latest xDrive all-wheel drive system. 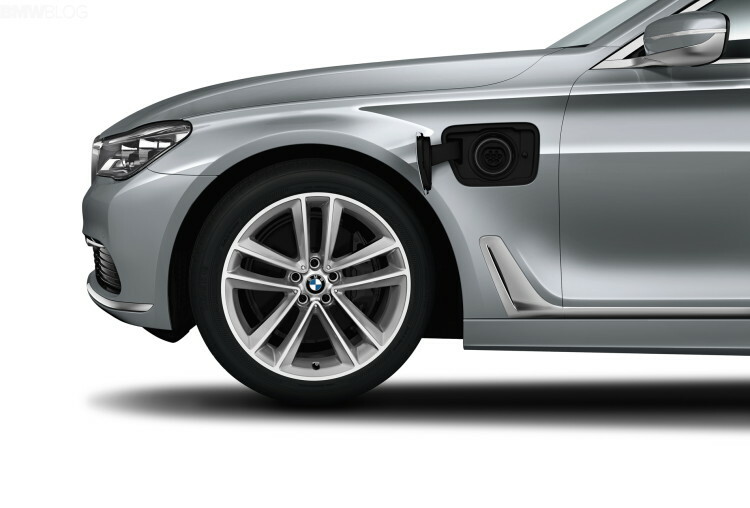 The electric motor will be powered by a Lithium-Ion Battery, located under the rear seat for better weight distribution and crash protection, which can be recharged via any domestic power socket, BMW i Wallbox or public charging station. The 740e xDrive will utilize an eDrive button on the center console to control the level of electric drive being utilized. There will be three settings, AUTO eDrive, MAX eDrive and Battery Control modes. AUTO eDrive will be the basic setting, using the electric motor to maximize engine power when needed, such as during hard acceleration. 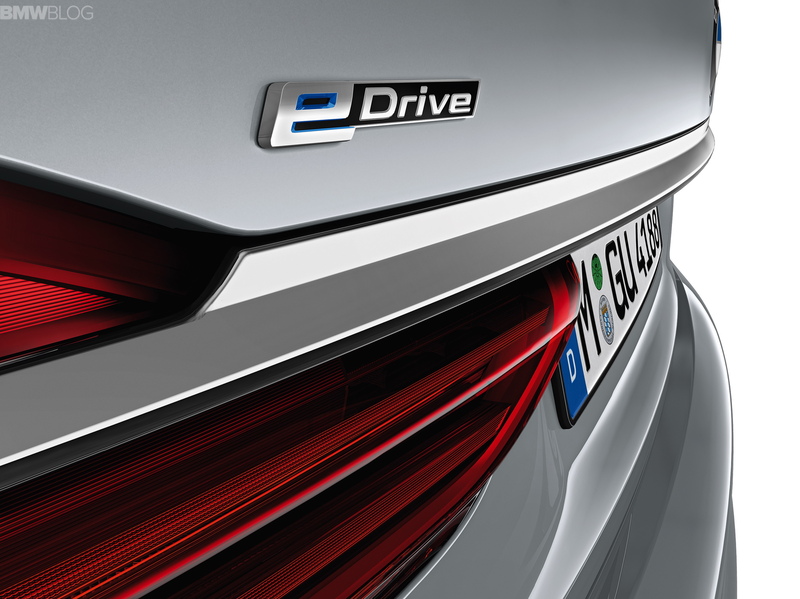 MAX eDrive allows the 740e xDrive to drive purely under electric power, at up to 75 mph, for 23 miles. That’s three more miles than the S550 Plug-In Hybrid, though the Benz can do up to 87 mph under pure electric power. Battery Control Mode maintains or raises the battery’s state of charge so as to conserve power. It will also utilize the navigation system and route guidance to create a trip-specific strategy to conserve energy necessary for the destination. The eight-speed automatic’s Brake Energy Regeneration and Route-Ahead Assistant systems will also aid the car in seeking out extra mileage for the battery. It’s all very impressive technology and should make the new 740e xDrive the best hybrid in the segment, though there really isn’t much competition. The S550 Plug-In is a very impressive car as well, but it’s systems are a bit more conventional, wheres BMW is using more advanced technology learned from the best hybrid division in the business. The 740e xDrive will also be considerably lighter than the S550 Plug-in, so expect better overall performance, dynamics and mileage. Combine that with all of the new 7er’s class-leading technology and the 740e xDrive may just be the most advanced luxury car on the market.